Yet another recent Signatory exclusive for Binny’s from the group bottle split I coordinated in February. I’ve previously reviewed a very young Clynelish, a 16 yo Linkwood and a 17 yo Laphroaig from the Signatorys in that lot. 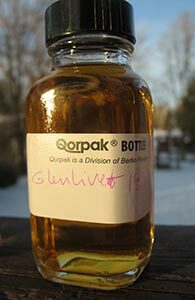 After this 19 yo Glenlivet all that will remain will be a 26 yo Balmenach (and also a G&M Ledaig) and I’ll then go back to my usual diet of entirely irrelevant reviews. Let’s get right to it. 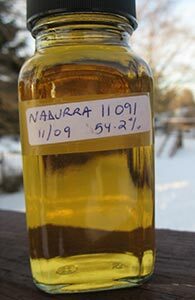 A year and a half ago I reviewed another batch of Glenlivet’s Nadurra (1109I) and there was some discussion in the comments about batch variation. In fact, in that review I’d linked to Jordan D.’s review of sample from this very bottle, which he did not like at all. And the source of that sample, Florin (a notorious Albanian diva), also chimed in the comments on both Jordan’s review and mine to note that he too thought it was very poor. Well, even though I am by nature suspicious of narratives of decline, this didn’t make me very excited about the prospect of opening this bottle. Of all the official Glenlivets the Nadurra is the most respected by geeks. It is very good indeed, but the fact that it is (now) cask strength and released in batches probably helps get it in the door. Not everyone loves it (see, for example, Jordan Devereaux’s review of another batch last month) but I’ve not yet met a batch I didn’t like a lot. 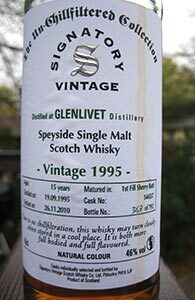 This review is of a reference sample saved long ago from my very first bottle (I have bottles from two other batches in reserve). It’s still very reasonably priced in the US and should, I think, be a staple in any collection striving for representation from all the parts of the Scotch single malt spectrum.